Start receiving all the benefits of GMAR membership today. 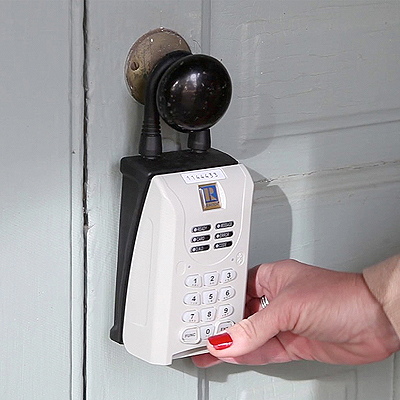 Electronic lockboxes from SentriLock allow REALTORS® to grant scheduled access to homes remotely through the safe and secure SentriSmart™ Mobile App or keypad. Electronic lockboxes are more secure than mechanical lockboxes. Every access is recorded and reported. You can easily track who accessed each lockbox and when. Electronic lockboxes can allow homeowners to use a “Do Not Disturb” code to schedule times when their home is not available for showing. Authorized showing agents can show property without the listing agent having to be at each showing. And more showings can mean a faster sale. Secure and reported access to lockboxes for those who might not have a key. This could be an out-of-town agent, a home inspector, contractor or even a locked-out homeowner.